Showmark makes it easy to Buy Online. 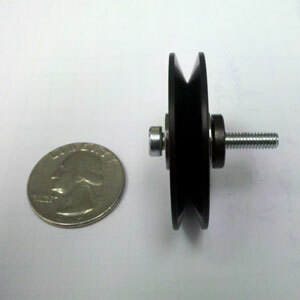 We sell Guide Wheels, Spool Adapters, Spools, other parts and complete machines. Guide Wheels – Showmark stocks 80mm and 30mm OD Guide Wheels (sheaves). Our sheaves feature smooth surfaces and very efficient bearings making them ideal for use with optical fiber and other delicate wires and filaments. Spool Adapters – Our Universal Spool Adapters come with 10mm shafts, 15mm shafts and 20mm shafts. Spools – padded and standard or doublewide. Our padded spools come with a 4in and 8in OD. The standard width and doublewide fiber optic wire spools are ideal for fiber optic and other fine wires. 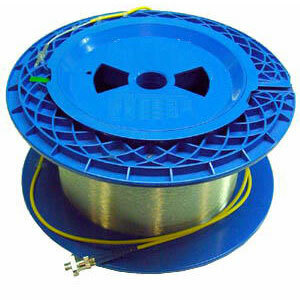 VaporSpooler – We currently sell our VaporSpooler Resistance Wire Respooler online. Just let us know how we can help you (610) 458-0304.